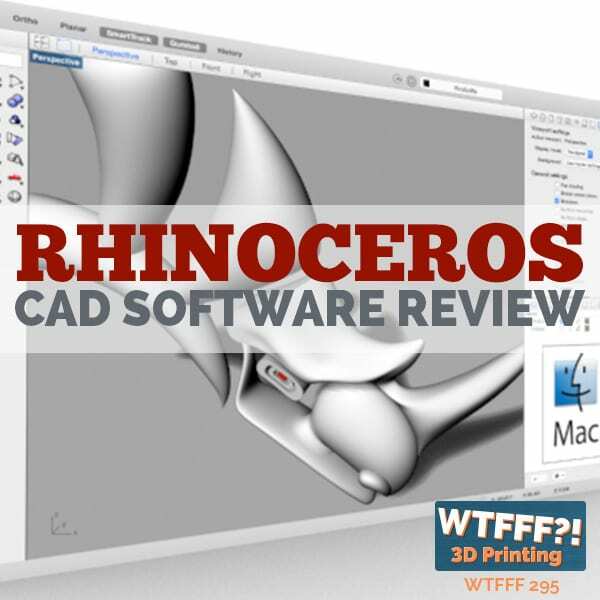 In today’s episode, Tom and Tracy Hazzard talk about their experience with the Matter and Form desktop 3D Scanner. They explain how they needed a 3D scanner for their professional business and how they came to the decision of buying one instead of going for other options. They also go through what they liked about it and what they were impressed by. They review this 3D scanner from a very use case perspective so that you can think about how you can maybe use it too. There are also some great business tips here that you can apply. Today, we’ve got another in our series of product reviews. 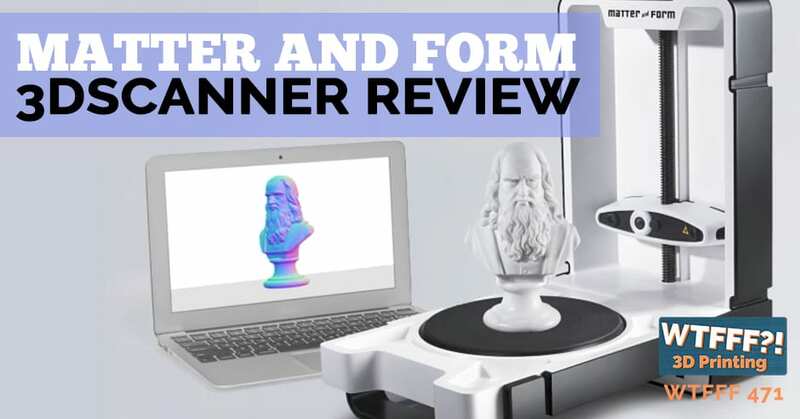 It is a review of our experience with the Matter and Form desktop 3D Scanner. For those of you who have been following the podcast, Tom and Tracy bought a scanner. That is a big deal if you’ve known us, if you’ve listened to a lot of episodes. We don’t usually scan. We talk about that, I don’t know how many times. It’s a big deal. Most of the time, companies send us a product to review and we review it and we send it back to them. We actually had a need in our professional business for a 3D scanner so we ended up buying it. I would like to go on the record before we start talking about this that since we bought it and used it for this client, it’s actually still sitting there, it hasn’t moved, nobody’s touched it. I think I was right to say we did not really need a scanner, but we had one need. Let’s talk about it because I think that that’s really important. When we do reviews for you, we really try to be use case focused in how we’re reviewing something. We think about how are we going to use it, how are you going to use it, what are the most likely uses for it and does it do that well, does it fit that? 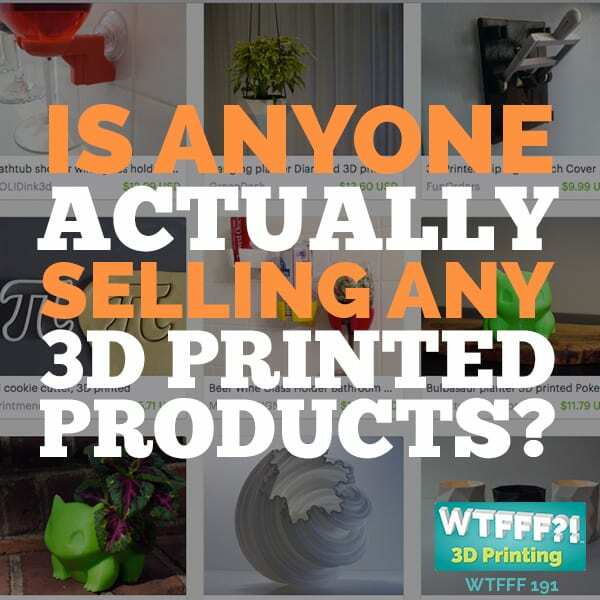 We don’t want to just be running a bunch of, and we’re very critical about it, you can go back to listen to about dozens of episodes, we hash out all of the people who do reviews of products in the 3D print space. Their tactics for doing it bother us. The idea that you would just run these stock prints that you do every single time. While we do that, because we want to have a comp from one to another, we also look at ways and say, “Maybe this one isn’t really great at doing unsupported forms. Maybe this isn’t great unless it only does solids.” Then we will try some solids and some other things. We’re always looking at it from the perspective of who is this best for and what would they use it for. That’s the case here. 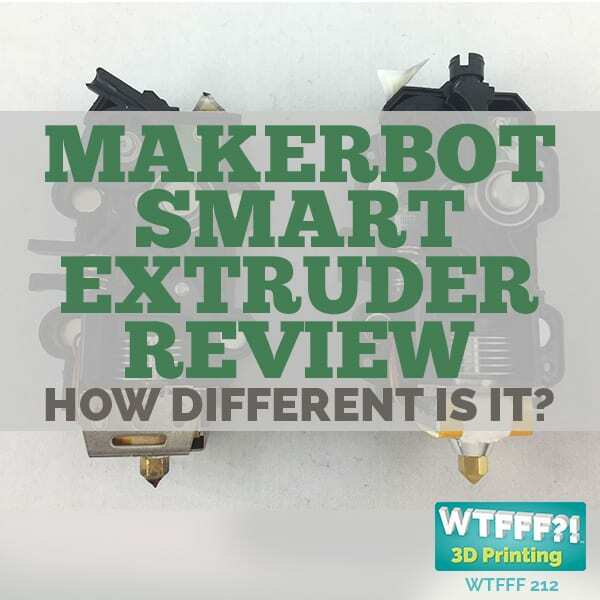 When we do that on 3D printer reviews, we often find things that, I don’t want to say are wrong, but maybe some things that are not ideal, that the manufacturer didn’t realize about their own printer and that’s because they’re not doing real world prints, they’re doing test prints. They’re not using it as a part of their day job. That’s really the difference here. We have felt over the years that we really didn’t need scanner because Tom is the kind of designer who designs in the computer. We sketch and then designs in the computer. We don’t really start from a scan of something very often, but we had a fit issue here and we had an existing part we had to work with. We had a client has this coffee grinder, it’s a hand crank coffee grinder. They hired us to make improvements to it. Usually, we don’t get into engineering improvements and it didn’t really start out this way, it was meant to be review the product, maybe we can make some design improvements to it. What we really found one of the biggest issues with this coffee grinder was functional. In order to solve that functional problem, we needed to create a new part. Normally, I would just create a new part, take my general dimensions, start getting into my CAD and start making the part. But this part hardly had a measurable piece of reference geometry on it. It’s very, I don’t even want to say organic, part of it looks organic. It’s not that it’s organic, but there was really not a straight line on the thing and it had a combination of twisting helix, but it wasn’t just a straight helix, it was tapered. There was so much stuff on this. I had so much trouble creating this geometry. I needed to copy part of the geometry and then change part of the geometry to perform a new function. That’s pretty complex for us. That doesn’t happen very often. This is a rarity. We tried to create it raw in CAD to begin with. I think I spent way too many hours quite honestly trying to create this geometry from scratch. The reason I wanted to is that, I’ve dealt with scans before, mostly scans we’ve received from other people. They are already STL files or something and you can’t modify those very easily. I wanted to create native geometry in the CAD for a number of reasons, but it was taking too much time and then I ended up checking out with an engineering company local in town who has this really serious high end scanners and engineering teams about making me a model of the part that then I could modify. But the prices they required for doing it were over $2,000. Ridiculous for this dinky little part. I thought, “This is the craziest thing I’ve ever heard. The worst pricing I’ve ever heard from a service bureau before.” That’s their business and they’re gouging their clients. But when you think about it, they’re a serious engineering firm and they bill out $250 an hour. You can see how, in a short period of time, you get to a big bill. But how long did it take to scan it? I don’t know, an hour. When you say $250 an hour, I would’ve expected $500 or less, but $2000 is gouging clients. This is what we faced. It’s too much. That really was the decision of, “For $400, I could buy the scanner,” and I decided, I’ll buy it. I’ll try it. We’ll do a review on it for the podcast. If it works for the part, great. Then we’ll keep it because we will have gotten our return on investment on this part pretty quick with our client’s job. If it doesn’t work out, I’ll return it. But it ended up working so here we are. I want to step back before we talk about the actual use of it and the review of it. I want to point out two important business lessons that happened in the process of this. This is very important for a lot of freelancing consultants and those who operate, whether you’re selling engineer services or 3D design services or any of those types of things, or even printing services, scanning services. There has to be a real world value. When you can say, “I charge $2000 to do that, but buying the scanner is $400.” You know it’s an hour of time, that’s not realistic. While I do think the most common problem is people undercharging for their services, I see that all the time because we are not Fiverr here. Let’s be really careful about how we’re pricing our services. You need to price them so you can stay in business. You are going to price yourself out of business so often if you are not realistic as to what its cost and/or what will happen is, when we got that file back, there were mistakes and they’re inevitably wouldn’t be perfect, there’d be issues. We paid $2000? We’d be really pissed because you set the bar way too high. You have to be careful. If you’re going to charge that much money, you better give them stellar results. They better be killer results. You can do that. That’s fine, but you have to know that that’s what you’re doing and you better deliver on that. The second lesson. How many hours did we spend trying to work it out before we said, “I got to have somebody else do this?” Maybe four hours trying to work it out, four or five. But to me, that’s a lot. I wasted half a day plus. Honestly, the job with this client, it wasn’t an hourly job so I wasn’t logging the hours. I wasn’t thinking about doing a review at that point because I was just creating geometry in the computer. Let’s just say it was four hours. We bill out at $250 an hour for just regular consults. You’re talking about $1000 worth of work and the scanner cost $400. Then I spent probably half an hour unpacking it and learning how to use it and then an hour scanning it. Then I was able to go and do what I needed to do. But even still, you look at that and it did not come close to the $1000. Sustainable businesses, businesses that are successful, what do they do? They pay more money to save time rather than spend more time to save money. They pay money to save time. Your time is really valuable because we’re spread thin, we have too many clients in a sense and we have this podcast. As you all know, we lost some time on the podcast because we had so many clients and so much business going and personal things, we had to deal with the wedding. That’s how the podcast lost out in the scope of things in terms of missing out for a couple months of content. This is the thing, you spend money to save time. We just discovered the perfect use for a scanner. Even if you think about, because honestly, we’re relatively a small firm, it’s not like I have a bunch of assistants and I could send one of them here, take this part over to that engineering firm. I would’ve had to go drive out to that engineering firm or spend an hour and a half of time getting there, meeting with them and coming back. The time would start to add up. Let’s get to the part, the scanner and the review. This part, it’s a ceramic part. If you’ve ever looked in a coffee grinder or at least a hand crank coffee grinder, a good coffee grinder, because serious coffee enthusiasts like ceramic burrs. It is a burr, which is a piece entirely made of ceramic and it’s unfinished. It’s just a white ceramic part. If I remember right, because we went down a long time ago to interview the UPS Store. It was really early on in the podcast, it was like in our first 25 episodes or something maybe. When we did that, they were spraying parts with talcum powder and stuff like that. It’s even funnier than that. It was foot powder. Especially if the parts were very reflective, they would put it on it so the scanner could read it. In this case, the part was actually probably ideal for scanning. Because that ceramic had that nice matte finish to it and it was not reflective at all. Let’s talk about the scanner. 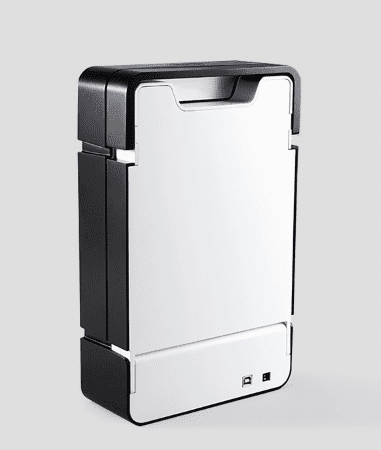 The design of the scanner, it’s a pretty cool little object. It’s well designed and it’s essentially a turntable and then a laser or a set of lasers and sensors that read the part as it turns and the lasers and sensors move up vertically. There’s a limit to how big a part that you can actually scan, but this part of ours, it was literally like a one inch tall and maybe an inch and a quarter in diameter. These burrs are not very big, but it definitely needed to be scanned 360 degrees. The design of this item, I think it’s a really well designed product. It folds up into a neat little package. The turntable, you open it and it folds down and rests on the table, you plug it in. Scanning it, you need to hook it up to a computer, that you have to do. It’s not like it scans by itself and it’ll save something to a flash drive or anything. You have to drive it from their software on the computer. We’ll talk about the software after because the software was not my favorite part of this, the hardware was pretty cool. It folds 90 degrees. It’s not about in half really, it’s L shaped and it folds up to be just thin. Which is why it’s hanging around here taking up a lot of space. It’s compact, it’s easy to put away. I go through the instructions and learn how to do it. I just did first a scan with the default settings. I found that it wasn’t fine enough. The result of the scan, it was not really as usable as I need it to be, not as accurate I’d say. I set it to the finest, highest settings, taking the longest time to scan. You can actually set it for how many steps in the 360 degree circle it takes or how close those steps are together. I went to the finest because I needed the most details scanned. I didn’t care how long it takes because honestly, it can just go. You don’t have to monitor it, you just let it go. If it takes an hour to scan, it takes an hour to scan. The turntable actually has a good little rubber grip surface. I tried to get it as much in the center as I could, but there’s no real precision way to make sure you have it dead center. There’s a dot there, but when you have a really small part and you’re placing it, it’s not like you have any kind of a physical thing that can make sure it’s placed in the center. It really doesn’t matter. Even if it’s off center, it’s still going to get every part of it. I wouldn’t recommend putting a very small part two inches off center. That doesn’t make a lot of sense and you probably wouldn’t get as good a scan. You want to try to put it in the center. That just spring into mind when we reviewed the Polar 3D. We learned that even though a little bit off really skewed everything when it happened, when it printed it, as it was going, it wasn’t perfectly centered and it started to skew your angel when you were printing it. It was the opposite problem with that printer. When you put something in the center, it had a little trouble moving through the center. You wanted to print something off center. It was the opposite effect. Scanning, you want to keep it dead center as much as you can, but printing on the Polar 3D, I found it did better when you print it off center. Which is weird because you would think that it would be off. Except the way that printer works, and that’s hard to understand, you can look at some of the pictures in the review of that printer and see. Its ability to move something through the very center of that build plate, it has to move very slowly to do it. I think there’s more margin for error because of that. It’s hard to explain, it’s technical. This, you want it dead center because if you wanted to rotate perfectly and get a perfect circumference all the way around it, it makes sense. You want it as dead center as possible. I was able to get it set and get it to scan all the day around, do the highest quality of scan I could. The software is really a pretty basic software. It looks, it’s not DOS, but it’s like before Windows 3.1, that’s for sure. It was not the most important part of their project. The software needs to be functional, does it need to be pretty? Probably not. I’m sure over time, they’ll make it better. Actually what we tell our clients all the day, spend money on the things that people will buy for, shop for, the things that make them pull out their wallet. Once you have it proven that it has a market and it can sell, then you spend the money on upgrading all those other things. Definitely looking at their software interface was not a part of my decision to buy. It definitely was more, we need the function. Or the appearance of the actual product, which was quite well done. I think they placed their priorities in the right places, but still, it would’ve been nicer if the software was a little better and easier to use. But it worked. This the same company that does the Bevel, which we have not touched and reviewed. We backed them on a Kickstarter for a scanner that attaches to your cellphone. Part of the problem is, the iPhone changed from having a phone jack to not having a phone jack over the time that they finally delivered this product. While there is an adapter, I think I might have to 3D print something to get that thing to be in the right position on the phone and do what it’s supposed to do. I didn’t had the time to get into that so I haven’t done it yet. I want to test that out. If I find that it’s a good product, certainly we’ll talk about that in a future episode. The software worked and you can save the file out in a number of different formats. You also have some editing capabilities within the Matter and Form software. 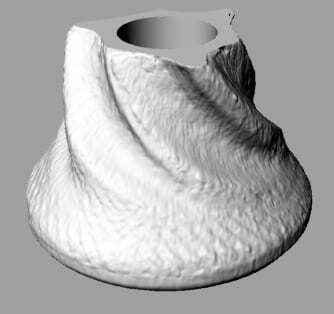 Here’s what I found, is that in order to really get a usable STL file out of it, which is ultimately what I decided was what I needed to do, I needed to wash or filter the end result that the Matter and Form software produced through Netfabb in order to get rid of some errors and produce me a good quality, usable STL file. It saved an STL file, but the STL file had lots of different pieces of geometry that wasn’t one uniform piece of geometry. You have like all these little facets and angles and other things that you don’t want. You want it clean and smooth. Manipulating that was inherently difficult as a result. I used Netfabb to not only clean it up, but stitch it all together into one solid. It’s the opposite of what you normally do. Normally, you create a file and then you do it to print, you run it through Netfabb to clean it up. Anybody who works with SOLIDWORKS or Autodesk Fusion 360, any of the real parametric solid modeling programs really don’t have this problem. 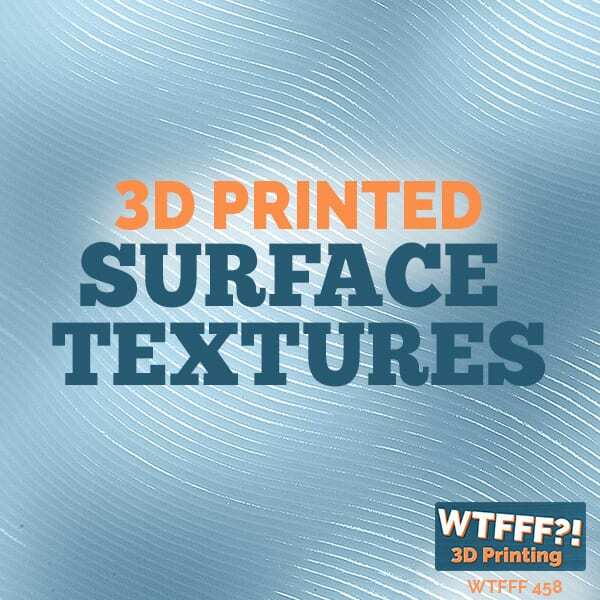 But those of us that use surface modeling or making different kinds of forms out of different pieces and putting them together often have little holes or errors and things like that that you have to clean up. Running it through Netfabb before you go to slice it just saves you some hassles you can encounter with slicing software. That’s what I found in the past. I tend to like the old version that is the free utility one that’s on your honor to pay them to unlock all the features, which I’ve done. They have newer versions and they have online versions. I think Microsoft bought them at one point, but I still find the older versions work a lot better. There you go. Once I get that file run through Netfabb, then I had usable geometry. It was still an STL so I still had to deal with the reality of that. I couldn’t turn it into native geometry that my CAD program would create, but it was good enough. Not only was it good enough, and here’s where the next fun part of this comes in, this burr, the outer surface of it, the parts that contact and actually grind coffee beans, I didn’t want to change, I didn’t need to change. What I needed to change is on the internal, inside of the part. It has a hallow core through it, but I needed to create some special geometry for a certain function in there. I was able to do that, but then I needed to test it. I went and printed one on our 3D printer, as fine a quality as I could do in plastic. But plastic I really felt was not going to function properly. Don’t go grinding coffee with plastic burrs. That doesn’t sound like a good plan. Even though I was trying to grind coffee, I wasn’t intending to drink that coffee. You’ll have little plastic pieces in there. I printed it out just for overall fit and everything and that was fine. But I knew I wasn’t going to get the right results even if functionally I had made the real improvements. What I did was then took this STL file after I’d modified it and I uploaded it to Shapeways and I printed it in stainless steel. Because they do have ceramic things you can print, but they’re really meant to be glazed in fire. It’s not the same thing as the ceramic material. I really didn’t think it would hold up. I didn’t want to waste time so I knew stainless steel would be strong enough, it would work. The part, because it has coffee beans between it and the other part that it’s grinding beans with the other ceramic part, which is sort of a donut shape, that I knew that it would work, it would hold up. I was like, “Let’s just print it in stainless steel. Then I would be able to test if the functional improvement I was making would work.” In fact, it did. I was really impressed with Shapeways on this. It took more than a week to get it. That’s the one thing I didn’t like about it. It took over a week for them to print and ship it and then another two days to get to me. I don’t know enough details about their process, but I know they are printing it themselves. Actually, I checked out a bunch of different service bureaus, even Sculpteo because we knew that they had added stainless steel to their capabilities. I was quite surprised the Sculpteo part was a lot more expensive than the Shapeways one. Trying to save my client money, I did it with Shapeways. Dimensionally, it was right on the money. I was really impressed. From the dimensions of the file I uploaded to them, it was right on. It wasn’t oversized or undersized. My first thing that came to mind was early on when we had i.materialise print the angel and it came out in this like sandstone kind of material, which is actually how the burr feels in ceramic, the original one. I wonder if it would’ve just worked straight in that sandstone-y material. But i.materialise takes so long to get here. Good overall use of the Matter and Form and then the processing of which to do it. I really think if we had any other parts that are not mass produced. Here’s an example of what I did scan. I took one of our plaster hand sculpted chess pieces that we’ve made a long time ago. We made them in college, they’re so old. But we still have them around the house. These things are pretty big, these things are like five inches tall and maybe three and a half, four inches in diameter. I took one of those and I tested the scan of that as well afterwards. Because it was a larger part, easier to see, I thought it’d be a good example. I tested it out and it worked. What you should do is you should take the file, run it through Netfabb or whatever you want to do to clean it up and just print it. Hallow it out and just print it. My point is that why kinds of things would you want to scan? To me, it’s objects that number one are really difficult to model in CAD natively, things that are one of a kind, things that you’re not easily going to be able to get anywhere else or something original that you wanted to preserve, I thought might be another reason you wanted to. We try to use as many real world use cases as possible when we test things. The burr for the coffee grinder was a real world test case where it definitely solved a need and it worked. I was trying to think of and almost in a contrived sense, figure out, what else could you use this for? Why would you use it? I struggled with it a little bit, but that’s where I went to the sculpted things. Really, mission accomplished. I think certainly there’s been a lot of talk about scanners over the years. MakerBot had a desktop scanner that they honestly don’t sell anymore. For whatever reason, even they internally weren’t happy with it or it wasn’t selling well enough for them to continue to produce it. There aren’t that many desktop scanners that are of a desktop consumer or professional lite level that you can buy. This is one of the few that’s out there. I felt like it did the job so I’m happy. I was concerned when we bought it. I was like you’re going to just get more work cleaning it up, more work getting it right out of it than you were going to be spending trying to create it yourself. You already did spend trying to create it yourself. I thought you really set yourself out an impossible task altogether. It’s still going to end up taking you four hours to clean it up, but that Netfabb solution was brilliant and it just probably saved tons of time in doing that. The whole process really did save me time and it got the result for the client the fastest way that I knew how. I called a few places to say, “Do you do this service?” I wasn’t finding any, but it’s not like there’s a 3D hubs of scanners out there so much. It’s really just printers. Maybe there are some other solutions that I’m not aware of. If any of you out there know of any, then let us know. We’d love to hear about it at WTFFF and maybe we can do another episode on that in the future. I do think that maybe a part of the problem. The 3D hubs model of it, unless it’s local to you. A lot of times, people don’t want to give up that part because it is a one of a kind piece, whatever you’re scanning, or it’s an antique or you really only had one to scan so you didn’t have enough to go and send one away somewhere or have it scanned and brought back to you. You really do need a hubs option, something local that would do that for you. 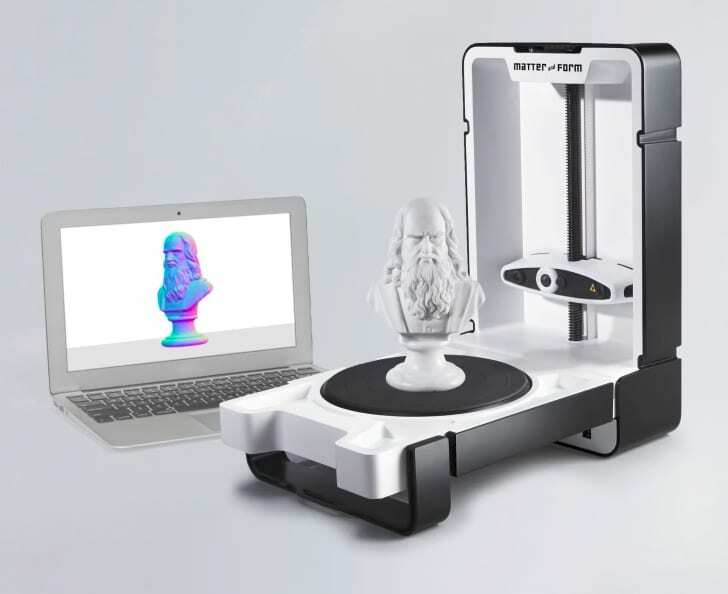 I’m remembering, one of the things that I also tried before ordering the Matter and Form scanner and having it shipped to us was to use one of those, there are several online programs that use photogrammetry. If you take a certain number of photos around the whole object, you can actually upload them to the site and it will analyze the photos and produce you a 3D model. I actually tried that in the case of the burr. We have a great photo booth, the SHOTBOX, we’ve talked about it before. I put it in there with a high contrast background, the burr is basically white so I put a black background. I took a whole ton of pictures around this thing, even more pictures than they said you needed. We have a lazy Susan too so you could spin it. I uploaded those to their site and it produced nothing recognizable in terms of a 3D file. I could not get that process to work. Maybe there’s something I don’t understand about it, but I followed the instructions and it just didn’t work. We mentioned before the UPS Store too. They don’t do it anymore. I actually was going to give them the opportunity to do the job and scan it, but that’s not a service they offer anymore. They still have the 3D printer, but it’s much more basic. I think that employee who was there running it at the time when we interviewed them is no longer there. We bought a 3D scanner. Tom and Tracy bought a 3D scanner and used it and liked it. It worked. I definitely would love to hear about anybody else’s experiences with 3D scanners though because I’m sure there’s a lot of other options out there. 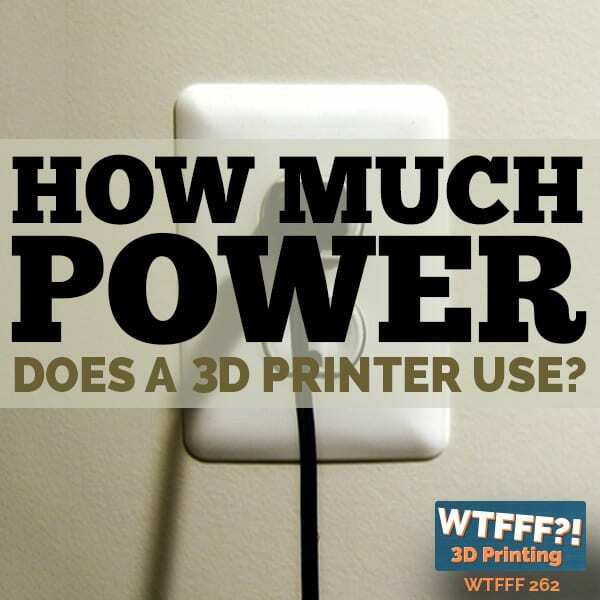 That company like Hollywood 3D Printing, I think they have some scanners. They scanned our bodies, I think they have some desktop scanning capability, but they’re way up in Hollywood. It’s like an hour and a half from us. I got to the point where I decided I wanted to try and do this myself so I didn’t even talk to them. I could’ve I guess. It would’ve been good to compare to see if they charge $2000. I’m sure they didn’t. I would hope they didn’t. Check our social media, @3DStartPoint and you’ll get to see interesting photos of what we scanned and the video that we took of the unboxing. We will be back again tomorrow with another episode. Tomorrow’s episode is going to be interesting. It’s controversial reasons. We’re going to go over some of our own thoughts about our biggest question that we get here. Join us tomorrow. Thanks for listening, everybody. This has been Tom and Tracy on the WTFFF 3D Printing podcast.